Mount Vernon Cemetery's 38 acres offer an array of internment options, including: Traditional graves, double-depth graves, side-by-side graves, and urn gardens. Mount Vernon Cemetery offers a Chapel in which services can be held. The Mausoleum features at Mount Vernon include the Garden and Chapel Mausoleums. The Garden Mausoleum offers outdoor crypts including single crypts, end-to-end crypts, abbey crypts and niches. The Chapel Mausoleum offers indoor crypts and niches. 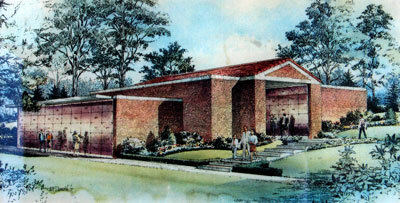 Mount Vernon also offers niches in the new Memorial Columbarium as seen on the left. Mount Vernon Cemetery offers a variety of special memorial options. Special Memorials provide opportunities to commemorate a life by endowing existing benches, trees, shrubs or flower beds. 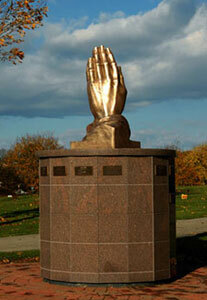 Contributions for these special memorials are recognized by a plaque with the name and dates in honor of the deceased. A memorial may also be made with the addition of an engraved plate to the Memorial Plaque on the inside wall of the Chapel.